Courtesy of COASTAL PROPERTIES GROUP. This hidden away waterfront complex is the best kept secret in town! This is one of the rare homes that comes available in this coveted charming waterfront community tucked close to Tampa Bay in NE St Petersburg. 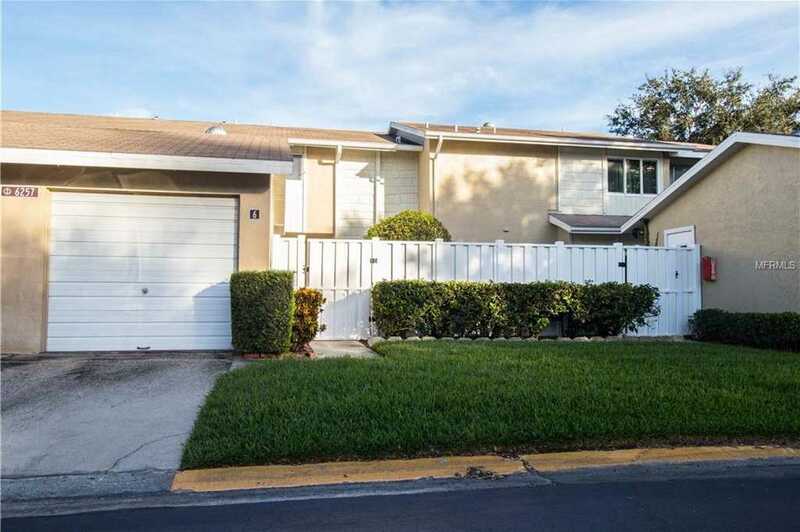 This 3 bedroom, 2.5 bath townhouse has the feel of a single family home, but without all of the maintenance. Walk through your entry gate into your private courtyard and then into your airy, bright, and open living area. The newer kitchen has the convenient adjacent laundry room. With the bonus room of 156 sq ft insulated and air conditioned Florida room, you actually have over 1,700 sq. ft of living space and a view of the canal. This community is a great place to take your dog for a stroll, and there is no weight restrictions, and up to 3 pets allowed! 13; There are 2 community swimming pools of which one is heated during a cooler season, and 3 fishing piers. Detached 1 car garage opens onto the courtyard as you approach your front door. Located close to the booming downtown St. Pete and its attractions. Fishing off the private pier in this quiet enclave near by Mangrove Gulf Coast and water way with docks leading toward Weedon Island Preserve, and the open Bay. Come and see this great townhouse style condo today, you can 8217;t go wrong on Mariners Pass. Please, send me more information on this property: MLS# U8026380 – $269,000 – 6257 Cape Hatteras Way Ne #6, St Petersburg, FL 33702. I would like to schedule a showing appointment for this property: MLS# U8026380 – $269,000 – 6257 Cape Hatteras Way Ne #6, St Petersburg, FL 33702.